Christmas is coming and it's time to share a new Christmas Gift Guide with you once again. This year, I have decided to focus on gifts that you and your children can enjoy in the snow. I'm all about getting outside to create snowy winter memories and learning to embrace the long cold season here. Check out my top ten gift ideas for snowy winter fun, and make sure you go to the bottom to see the giveaways! From Canada and want to win a set of Polar Stroller Skis? Follow this previous link to my giveaway that is open until November 27th. I have two sets of Polar Stroller Skis to give away to a Canadian resident. I like showing love to new Calgary home-based businesses so this year I want to introduce you to Run Bikes YYC. Suzanne and her husband are South Calgary's newest Strider Balance Bike Distributor and have generously offered to give away a Strider Ski Attachment to one lucky reader from Calgary. To enter to win a Strider Ski Attachment (Calgary residents only,) go to the bottom of this post and enter the contest. We have used our Strider ski bike on toboggan hills, in the backcountry, on groomed x-country ski trails, and on snowshoe trails. We've even used it on icy city sidewalks. It's been a lot of fun and we'll be sad when our son is too big to use it anymore. At 5.5 he barely fits but he's still cruising down hills on it and having a blast. To see an awesome video of the ski bike in action, visit this You Tube Video of two children ripping through the backcountry in Garibaldi Provincial Park. And then you'll be ordering one within the second. This is one of those toys that I saw on line and immediately knew we HAD to have! And thanks to the great folks at Mastermind Toys in Calgary, we will be getting the opportunity to review one so stay tuned for that story coming soon! 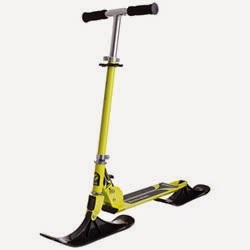 The Stiga Snow-Kick is a scooter with skis! How cool is that?! I imagine my son riding it down the trail out of a hut this winter, riding it down a snowy trail from a backcountry lake, or even flying down sledding hills in the city. Note that it does say this product is recommended for children ages 8+ so I don't expect we will be doing any dare-devil stunts on it quite yet! We are very curious though to see how this scooter performs and I can not wait until it arrives at the door! To pick up a Stiga Snow-Kick for your child for Christmas, check the Mastermind Toys website for a list of locations across Canada. They can also be ordered on line through the store website. Ever wonder how snow is made? Or try to explain it to your child and realize you actually have no idea?! Calgary-based Author, Carolyn Fisher, has solved the question for us with a great children's book that's been met with amazing reviews. ever to fall from the sky!" For more info or to buy one of Carolyn's books, check out her website or visit your favourite bookseller. And Canadian residents can enter to win one of two copies of Carolyn's book at the bottom of this post. Snowshoeing and winter hiking is one of the most family-affordable activities you can do in the winter. A pair of kids' snowshoes (and good ones too) range in cost from $60 to $85 at Mountain Equipment COOP or Campers Village. And, a pair should last your child 5 years based on weight ranges per pair! Now tell me that isn't cheaper than skiing! 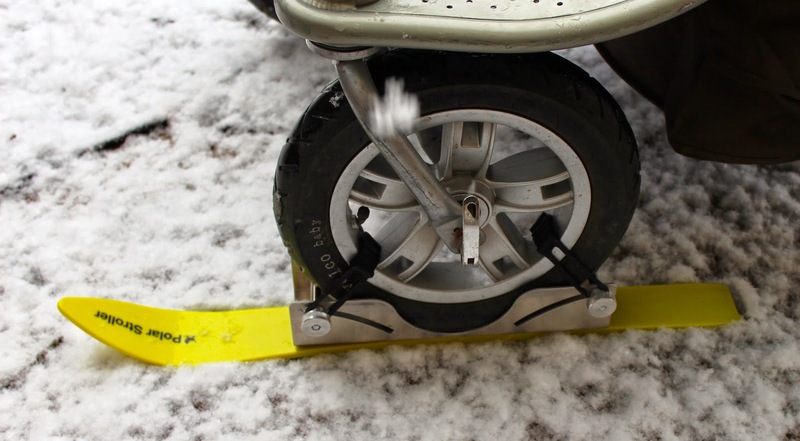 Want to try something fun for the smaller tykes, check out the Sno Stompers Footprint Maker. At $22, they look like a lot of fun. And we'll be trying a pair out this winter so I'll be sure to let you know what we think. "A pair of Sno Stompers allows you to tread softly atop the snow while leaving a strange animal's footprint behind rather than your usual shoe print." If you check out the Mastermind Toys website, there is a whole line of Sno products from paint and crayons to brick makers for building igloos, snow forts and snow castles. I've been looking at this company's innovative products for a while now and am excited that we'll get to try some of them this winter. 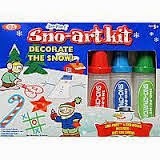 Check the link above to see a variety of sno toys and art products. Want to introduce your child to skiing or snowboarding in your backyard at the local sledding hill? 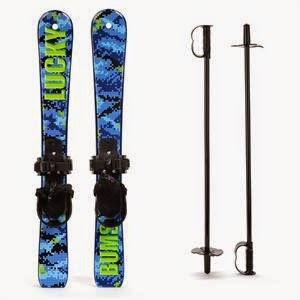 Lucky Bums makes snowboards and downhill skis that don't require special boots. Simply strap them on over your child's normal winter boots. 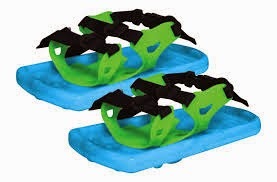 While these products don't have metal edges (so don't take them to the ski resort,) they are perfect as a substitute for a sled at your local toboggan hill. I'm thinking you could even strap the skis or snowboard to your backpack when you go hiking and let the kids have fun on hills as you hike out. This one is for that Mom-to-be on your Christmas list, the new mom, or maybe even for yourself if you have a baby or toddler at home who struggles with cold feet in the winter. Stonz Wear Booties are cute and toasty warm for the winter months. Pair them with fleece liners for added warmth. AND there's a giveaway currently going on to win a pair of these booties. Follow this link to my contest that just opened a couple of days ago: Stonz Outerwear for Kids (and a giveaway.) The contest closes on November 28th. It is open to Canadian and US Residents. As mentioned earlier, I have a giveaway currently going on already for two sets of Polar Stroller Skis. (Canadian Residents only) To enter that contest, go to my previous story for them: Introducing: Polar Stroller - Skis for Strollers & Chariots. If you would like to enter to win a Ski Attachment for your Strider Bike from Run Bikes YYC, enter the contest below. It is open to Calgary residents only. Contest is open until midnight, November 30th. I will draw a winning name on December 1st. 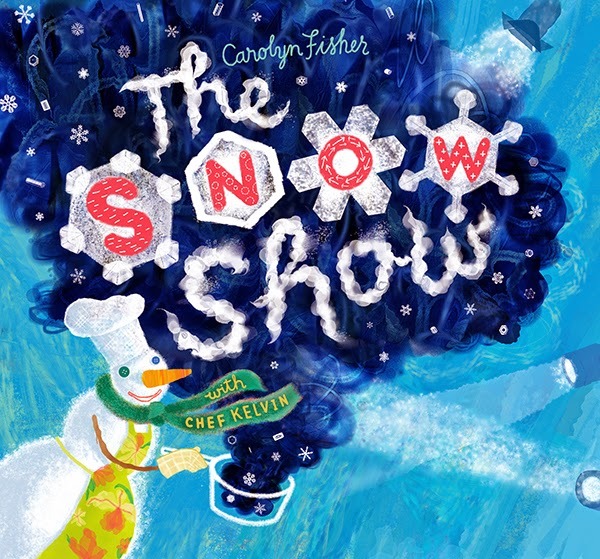 If you would like to enter to win one of two copies of Carolyn Fisher's book, The Snow Show, enter the second contest below. It is open to Canadian residents only. Contest is open until midnight, November 30th. I will draw a winning name on December 1st. Great gift list. My favorite gift as a child was cross country skis-changed my life! I am always a fan of new books and would love to try Carolyn Fisher's book. One of many favorite winter themed books in Quiet Bunny Noisy Puppy. My fav xmas gift was a sled and my fav xmas book was the night before Xmas! Thanks for more great ideas - we love reading books and to find some that are outdoors themed is great. I've always loved The Polar Express, a must read each Christmas. Also it's not in book form but we also really like the Rocky Mountain Fairy Tales audiobooks. Thomas' Snowsuit by Robert Munsch was my fav as a kid. Can't wait to read it to my little munchkin this winter! We're currently loving No Two Snowflakes by Sheree Fitch, and who can resist The Snowy Day by Jack Ezra Keats? I have a lot of love for winter-themed stories, but my favourite is one called "One Mitten" by Kristene O'Connell George. A new one to share would be great! My favourite Christmas gift as a child was a cd player- it was so new and I could listen to music without winding the tape to find the song I wanted! Great gift list - definitely sending to grandparents! I would love to win the Strider ski attachment. I hope next year the kiddo will be ready to hop on a strider. And the books looks great! I love supporting local authors, especially those writing winter themed books. My favourite gift was the doll house my dad made for me - we still have it! And my favourite book would probably be The Grinch Who Stole Christmas. My favorite gift as a child was a pair of skates! go figure, lol. Fun list Tanya, some great ideas here.